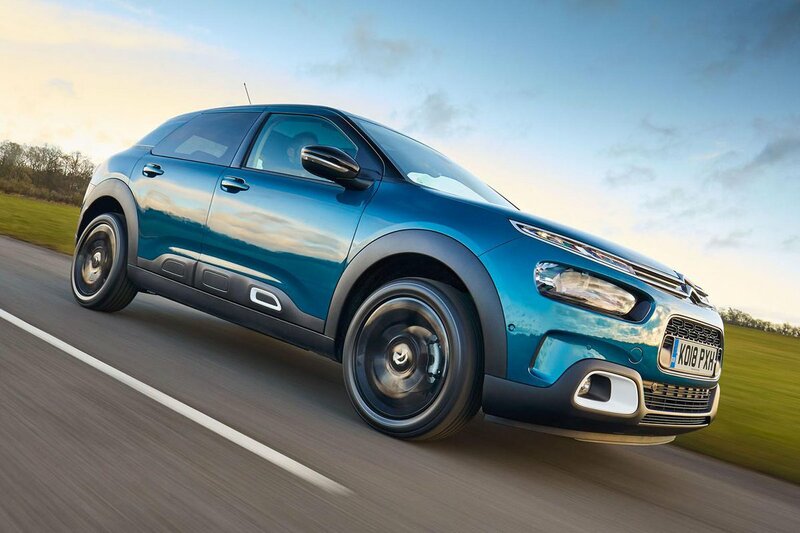 Citroën C4 Cactus Performance, Engine, Ride, Handling | What Car? Our favourite engine is the 109bhp 1.2 turbo petrol badged Puretech 110; it picks up eagerly from low revs and doesn’t mind being worked hard, although there’s a bit of a surge of power in the middle of the rev range. That engine is also offered in a lower-powered form, badged 82. This version produces 81bhp and is tolerable around town, but feels gutless on the motorway. Thank the omission of a turbo for that. If you want a little more lead in your pencil, the Puretech 130 is also available. Performance is strong and it copes with motorway journeys the best out of all the engines available, but we’d argue that it’s not worth the premium over the Puretech 110, which is the definite pick of the line-up. The sole diesel engine is the 1.6 BlueHDi 100 producing 98bhp. It doesn’t accelerate as eagerly as the petrols from low revs and feels a bit wheezy at medium revs. If you’re after an automatic gearbox, the Puretech 110 is available with a six-speed unit; otherwise a five-speed manual comes as standard, while a six-speed manual is available with the Puretech 130. The Puretech 82 and diesel engines get five-speed manuals. If you do opt for the automatic in the Puretech 110, it knocks performance slightly compared with the manual. 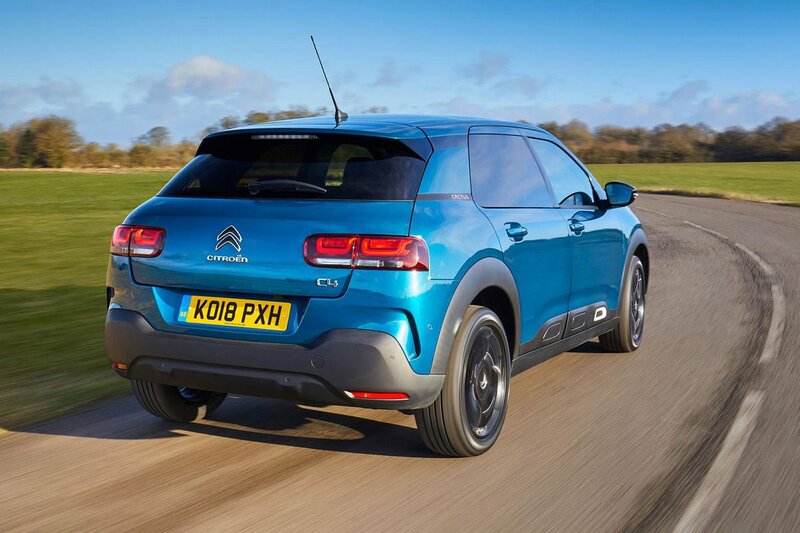 From the moment you pull away, it’s clear that Citroën has tried to prioritise ride comfort over handling, but in the end the C4 Cactus fails to deliver on either count. The soft suspension allows the C4 Cactus’s body to pitch back and forth even under light acceleration and braking. It’s not an unpleasant sensation at first and gives you the impression that you’re driving a modern-day 2CV rather than a run-of-the-mill hatchback. However, like a number of gimmicks found in the Cactus, the novelty soon wears off. In corners that wouldn’t trouble rivals such as the Volkswagen Golf and Skoda Octavia, the C4 Cactus lists like a top-heavy ship – a sensation that, when combined with overly light steering, can be unnerving. This would be more acceptable if the C4 Cactus delivered a noticeably better ride than rivals, but it doesn’t. Despite the fancy new Progressive Hydraulic Cushions (designed to allow the suspension to soak up large and small bumps), the C4 Cactus still gets upset by rutted urban roads, with small imperfections making themselves felt through the base of your seat. It’s a shame, because the C4 Cactus deals well with bigger obstacles such as speed bumps at low speeds. There are no options on the suspension front but, depending on specifications and options, your C4 Cactus will come with wheels ranging from 16in to 17in. Stick to the smallest wheels possible for the best ride comfort. The C4 Cactus leans more dramatically than most of its rivals through bends and feels less stable and composed along bucking and bounding country roads. The remote steering that fails to weight up in bends doesn’t help, because it makes it tricky to trust that the front wheels are going where you’re trying to point them. Thankfully, if you do overstep the mark, the C4 Cactus will simply wash wide of your intended course in a safe, controlled fashion rather than do something unexpected or become tricky to control. However, it’s far from being the most gratifying car to drive in its class; a Golf, Octavia or Seat Leon are all more rewarding to drive. A frustrating combination of a numb clutch pedal, a light accelerator and a woefully vague gearshift means driving smoothly at low speeds requires a lot of concentration in manual-equipped cars. Changing gear and pulling away is so much easier in rivals such as the Golf or Octavia. Thankfully, the automatic ’box available with the Puretech 110 engine is for the most part fairly smooth, but will occasionally jerk when shifting into a higher gear when you’re off the accelerator. It can also be very slow to change gear, although the manual mode is fairly responsive. The dual-clutch gearboxes fitted to the Leon, Octavia and Golf are much better. The C4 Cactus’s 1.2-litre petrol engines are also rather disappointing because they all sound gruff when worked hard and send the occasional vibration up through the soles of the shoes. Thankfully, road noise is well isolated, although there is a fair amount of wind whistle on the motorway. 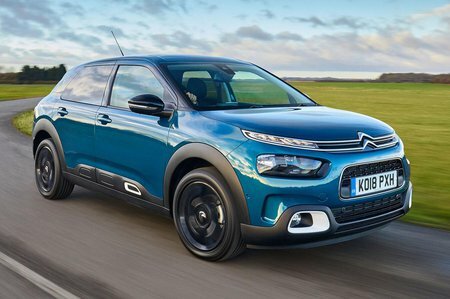 Some drivers may also struggle to get used to the sharp initial braking response when you press the middle pedal – something that can make the C4 Cactus a little jerky at low speeds. At least wind and road noise are well contained.